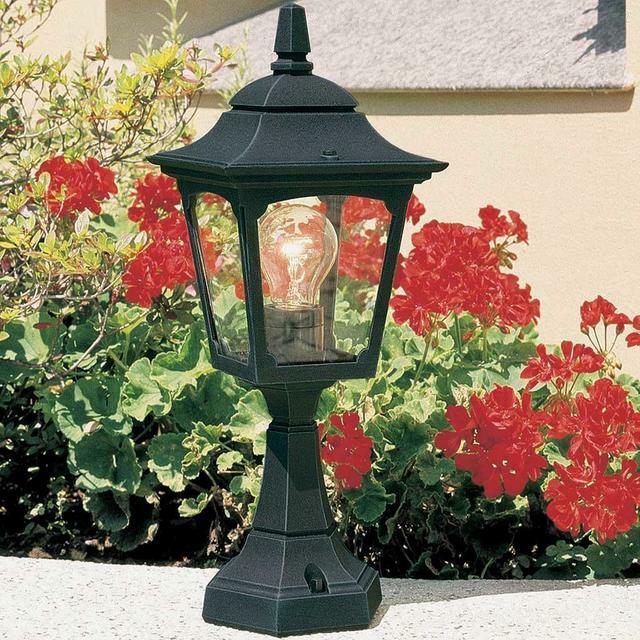 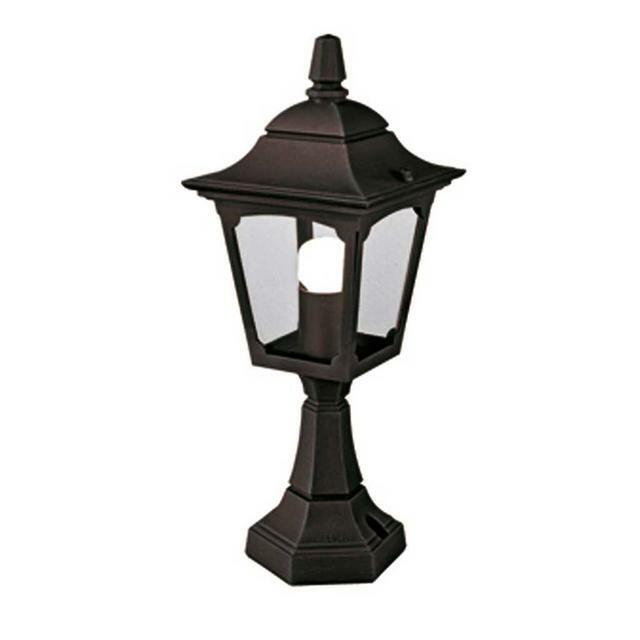 Simple yet classic lines typify the Chapel Mini pedestal lantern. Manufactured from die-cast aluminium and a Black finish. 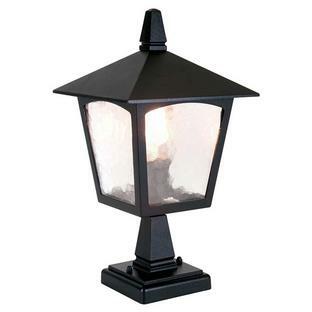 These come supplied with clear glass panels. 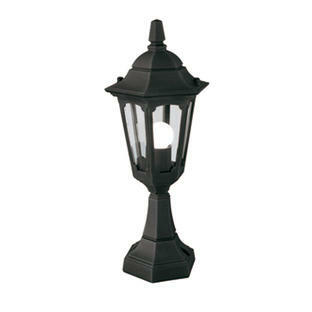 Also available in the Chapel Mini range are a pillar lantern and wall lanterns. If you like this pedestal but would like something larger then please see the larger Chapel Pedestal. 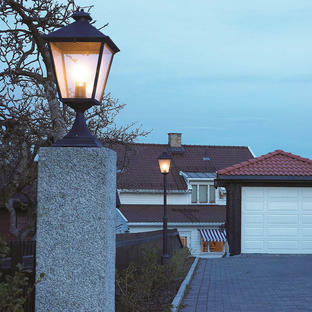 Made from aluminium with a black finish and clear glass panels.